Traveling is a gold card member of devious teasers. All these beautiful panoramic views and images, it calls out every time you look at them. It pokes you childishly. Then it gets impatient, it prods, nags erratically. To be someplace else, it’s our favorite dream no matter how good the place or position you are in right now. To me, it’s a special kind of addiction. Like evil urges, it’s a quiet ambition. It isn’t just a simple twist of a wrist, starting the engine. Ample considerations take place. The financial aspect mainly comes to mind. Time and timing are also in the checklist. All these other physical factors including possibility, availability and accessibility still are nothing compared to the courage or willingness and the sacrifices that carries with it. Is it really for that piece of history? I don’t even have to say that discovering is not worth the travel when a click of mouse can give us the answer. It’s not just thirst for knowledge; and I’m sure don’t think it’s about the historical sides, learning the past or the patriotical effect. Unless you really are an ardent admirer. Otherwise, let’s call each of our traveling activity a field trip. I’d give you understanding. It sounds more genuine than plain knowledge. Stare at a famous painting, lift your chin up the tallest structure, watch an exhibit, exclaim at the sculpture, see an old church, Egad! that art is breathtaking. Then someone releases The Great Brown Cloud that everyone had a laugh at. Now the fart becomes the more talked-about. Actually, the admiration, I can definitely give you. Appreciating geological features and understaing different cultural . Did you genuinely like that authentic “never elsewhere” signature famous cuisine of that place? Maybe, perhaps, possibly, more likely that you “enjoyed it”. Letter D. maybe not. Is it really for that momentary chill and thrill? People go back home, do their normal routine and never really sink their teeth into from that part of history they’ve just witnessed. Not to worry. It’s a human law of nature to which who are we to defy. Is it a trophy to dust off, or envy for? One for the record. That is the case, mostly, it seems. People in tropical islands like my fellow countrymen in Philippines long of snow. I assume the dream of white December goes the same with every Filipino kids, as I had that dream since childhood. Picture a kid with hands crossed, chin up, sighing from time to time and with eyes glowing, peering through and looking out the window at night. That’s how serious people in the Philippines imagine of snow. The Leaning Tower of Pisa! A famous landmark, a wonder of the world. Not so extravagant afterall. To hell, I still don’t know how or why is it leaning. Never stared long and hard to wonder as what they say it should, never dared to ask, never cared to bother. I’m not deglamorizing it, I just think that the popularity of it is overly broadcasted. I admire the urban living of Naples much more, that’s one for example. I was so, so excited the first time I boarded a plane. It was another dream as a kid. Turns out, nothing fancy. I only slept through it. I seem to believe that the wonder of traveling, going places and sightseeing all boils down to the idea of just being there. I know it’s a brother to little brother teaching to say traveling is to go places, but it just basically is. To actually feel things and not just to have read them from books, not just to have browsed them on papers or not just to have watched them from the tube. I may have wowed to the paintings of Micahelangelo in St. Peter’s Basilica. It was a hot day and was tired from walking. The real deal is to be there. I’m glad that I’ve set my foot in Vatican City. People who haven’t been would be jealous. And people who have the oppurtunity will sacrifice for that experience. That’s a big one, it’s all for the experience. 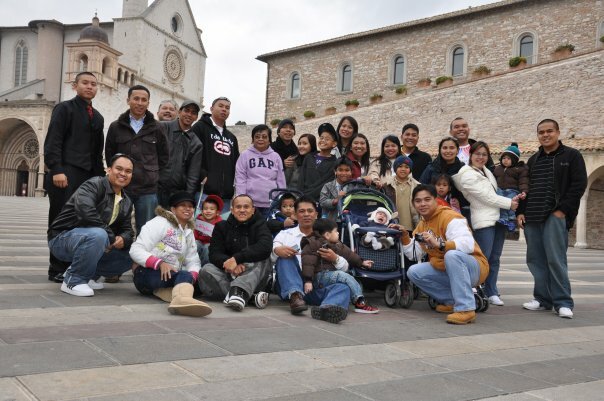 We once went to St. Francis Cathedral in Assissi. Other than it was my “section” during my high school sophomore, I don’t know why I was so excited. Reality doesn’t meet expectation once and again. The cathedral only became a photoshoot booth of our large group and nothing else. However, I did enjoy it. It’s quite memorable actually. Reiterating, it’s not just the destination but also the journey. It’s also the people you’re with and the people, of other culture, that you meet. 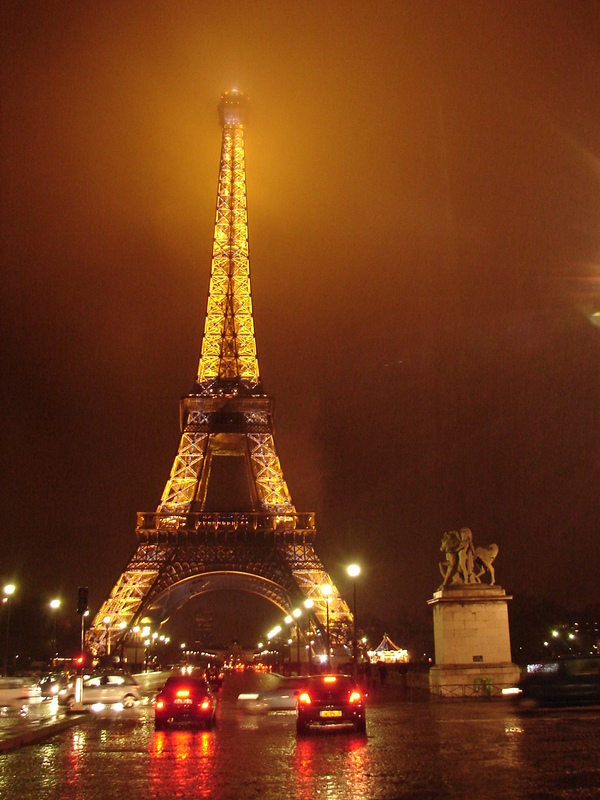 It’s not about the level of popularity of the piece or place, the Your Welcome sign to the granduer that is Paris. No matter what structure we go to, we all going to find a kick out of it. You’ll always find that personal reason, that result no matter how foreign it is to actuality. I dream of London and the rest of UK. My longing for it even got stronger when I heard about the Tudors tour. I got hooked on that TV show and my interest to the lives of Kings and Queens and castles and the whole empire heightened . I’m not going to expect much other than bricks and walls and statues. That isn’t the point. I just knew I wanted to be there. Bloggers have proven it. You can just go to a beach stone-throw away, a random field or as simple as the street and the people, and still get the best (picture) out of it. I know using cliché sounds cliché, but distance is absolutely not a factor when it comes to traveling. You’ll push to reach the understanding, appreciation, experience, and feed curiousity anyways, as long as you’re willing to. What do you think? Did I hit something? To see the beautiful world and the real world. St. Augustine is, indeed, right in saying that the world is book and those who do not travel read only a page. Certainly, I don’t want just a page. Hence, Stories of My Wandering Feet (& Mind) was born. I liked this post! I agree, especially with your last paragraphs. I don’t care where it is. It can be right down the road; I am just thrilled to see or experience something that I never have in the past! To me travel is the desire to gain knowledge! Thank You so much 7feetnorth for sharing your thoughts. Congratulations for being featured in Bucket List Publication. I agree with it being about the destination and the journey, and of course everything we learn and experience in between. 🙂 Thanks for sharing your views. They made for a great read.